Jonathan, who has been dancing for over seven years in Quebec City and Montreal, was part of the Swinging Air Force team and a member of the Elite Team SAF SQUAD (coached at the time by Max Pittruzzella and Annie Trudeau), a team which won 1st place at the International Lindy Hop Championships three times in the past five years (2010, 2011 and 2014). Currently Jonathan and his partner Marie-Anne Rochon work together to constantly increase the intensity of their dancing, which has led them to win the Canadian Swing Championships - Canadian Showcase Competition in 2014 and 2015. Jonathan’s teaching style combines great teaching technique with a high level of technical skill, a sharp sense of observation and a gift for simplification. 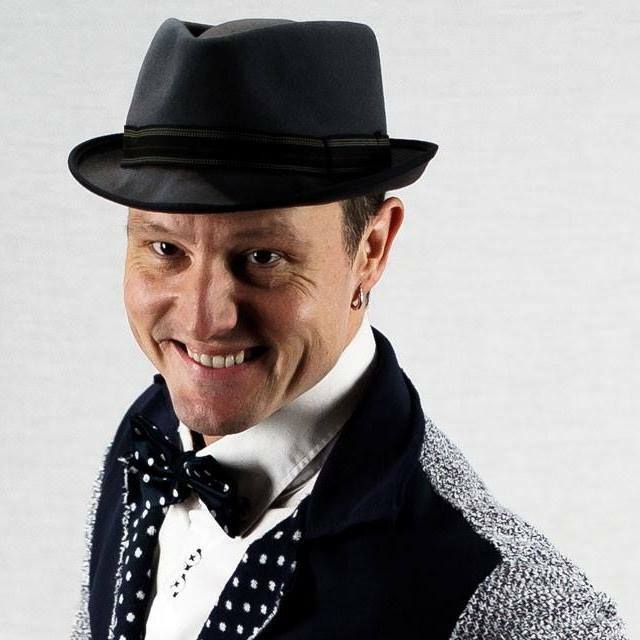 After being involved in music, theatre, musicals and competitive sports during both his childhood and teenage years, Benjamin discovered a passion for Swing Dancing in 2000 while studying forest engineering at Laval University in Québec City. 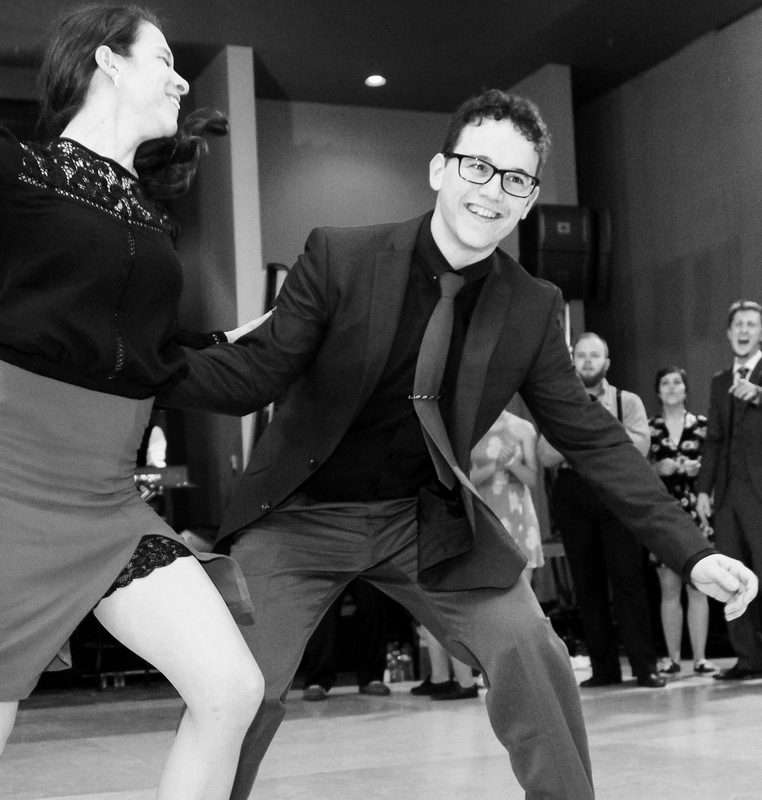 15 years after the rebirth of Swing dancing in the old capital, we can claim with confidence that Ben is the one who contributed the most to the development of its Swing scene. In addition to starting the Port-O-Swing Dance Schools, where he has been teaching Swing in all of its forms, he helped organize many events as well as launching dance programs in various schools in the province. Ben has traveled the world to convey his passion by teaching and performing in several countries. On top of the various titles earned since 2002 with the Hop Swing & A Jump team from New York City, he won several competitions with his dance partner, Genevieve Kerouac. Among them, the World Swing Dance Championships in 2005 and 2007, making him the first Canadian to get the world champion title in acrobatic swing dance. His Port-O-Swing troupe was also the very first Canadian dance company to win the American Lindy Hop Championship in 2003. In 2015, Ben became part of Quebec’s show business scene by working as a choreographer for the "Dance ton cinéma Rachid Badouri", a show performed at the 2015 Just for Laughs Festival and the television show "Les Dieux de la Danse" which aired on Radio-Canada. Natalia started dancing Lindy Hop at age 17 and at age 19, she had already led a Swing dance team to take a silver medal at the Canadian Swing Championships, one of the many places where she now teaches and judges competitions. As a competitor, she holds 1st place titles in Lindy Hop, Balboa, Blues, Solo Blues, and West Coast Swing. She is an international Swing instructor and has been teaching Swing for 10 years. Dancing and performing, and teaching others to do so, is what she loves best. After co-founding and running Swing Dynamite in Ottawa for almost 9 years, in the spring of 2015 Natalia packed her bags and moved to Montreal, Quebec, where (when she's not travelling to teach and compete) she now dances, teaches, coaches and performs. Her latest placements at the 2016 Canadian Swing Championships: 1st place in the Balboa division, 1st place in the West Coast Swing division, and 1st place in the Professional Team division with her Lindy Hop team. Natalia's primary dance partners are Zack Richard (Montreal), Daniel Newsome (Seattle), Byron Alley (Vancouver).